If It's Hip, It's Here (Archives): Despite Duo Dior Dress Debacles, Jennifer Lawrence Is Picture Perfect In New Miss Dior Campaign. Despite Duo Dior Dress Debacles, Jennifer Lawrence Is Picture Perfect In New Miss Dior Campaign. 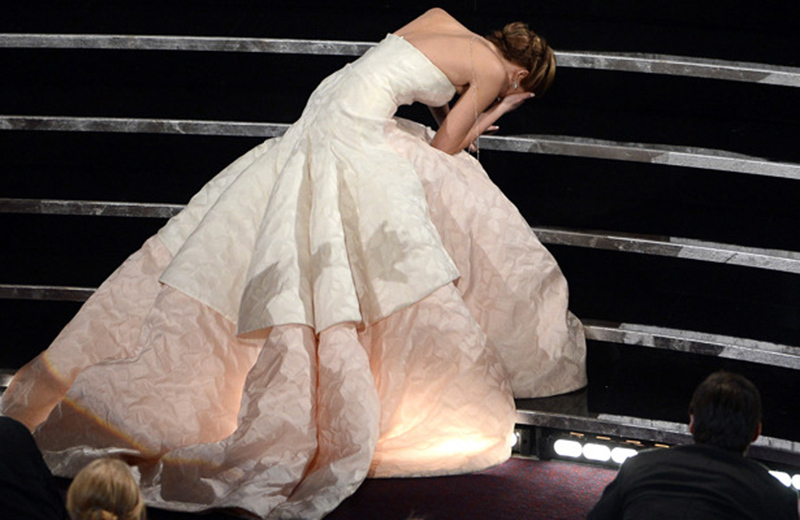 Despite her difficulties donning Dior Couture - she experienced one wardrobe malfunction at The 2013 SAG awards (photo below) and her pink Dior Couture gown caused her to trip ascending the stairs to collect her Best Actress Oscar at last week's Academy Awards - Jennifer Lawrence is the new face of Miss Dior's Spring handbag line and was photographed by Belgian photographer Willy Vanderperre for the new ad campaign (images shown further down in the post). 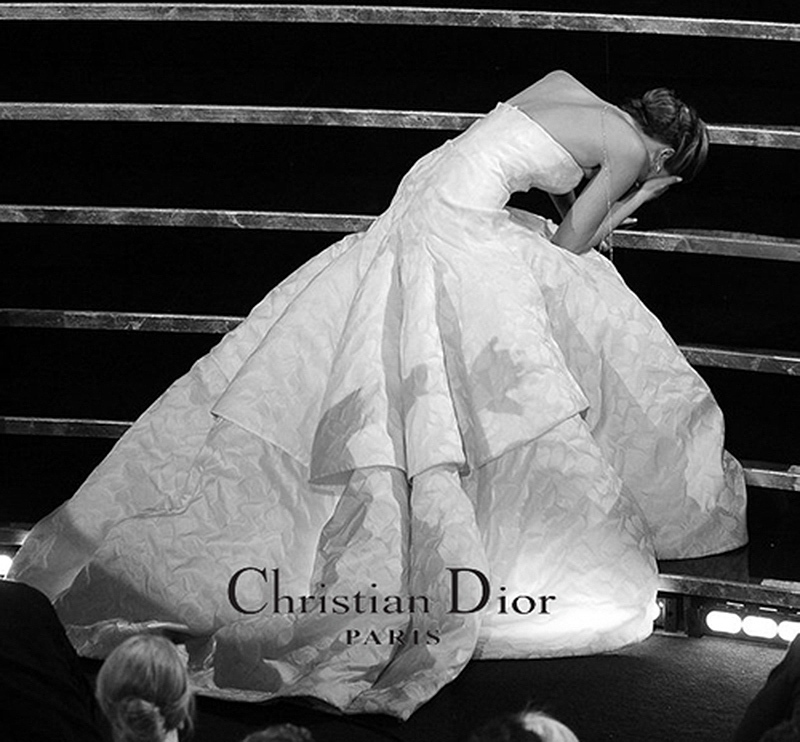 above: Not one, but two, Dior dress debacles for Jennifer Lawrence as she goes to the stage to receive her honors at the SAG Awards and The Oscars, respectively. In the new stunning color and black and white photos the 22 year old actress wears pieces from Dior's Spring 2013 ready-to-wear collection including a white tuxedo dress, a black trouser suit, a netted veil and the key styles from the Miss Dior handbag line. Dresses include the troublesome midnight blue dress that she wore to the SAG Awards in January, the embellished blush pink gown that she chose for the BAFTAs last month and, most recently, the pale pink and white Fairytale-like strapless gown she donned to collect her Best Actress Oscar.